Not everyone has the financial means to experience Chicago's exclusive Michelin-Starred restaurants, but that doesn't mean that there aren't an abundance of fabulous, creative, hip dining spots that are accessible in the city for enjoying a good meal. 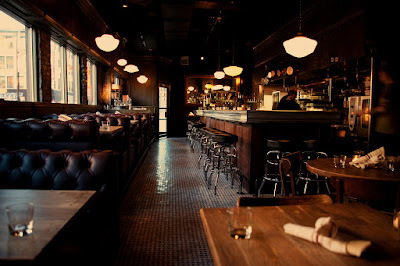 If you're looking for something trendy or with an upscale feel that serves food to knock your socks off, but is yet affordable, you can count on the Michelin Guide Chicago 2018 to fill you on the places to go for a great meal that won't break the bank with their list of Bib Gourmand Restaurants. Big Gourmand-selected restaurants typically serve two courses and a glass of wine or dessert for $40 or less. Chicago is fortunate to have 54 that are currently on the list, including eight new additions. Take a peek at some highlighted establishments and scroll down for the full list. And in just a week the star selections will be released, so stay tuned to see which places stay on top and what newbies have joined the group. For more on the Michelin Guide, click here. Which Bib Gourmand Restaurants have you been to? And which are your favorites? CHICAGO, Oct. 13, 2017 ― Michelin today announced the restaurants that have earned the designation of Bib Gourmand in the eighth edition of the MICHELIN Guide Chicago 2018, including eight noteworthy additions. Across the city, Michelin inspectors found authentic international flavors abounding. Logan Square, for example, has become a hotbed for delicious Mexican cuisine while exceptional spices from India and creative combinations from Vietnam have delighted diners north and south of the Loop. In Logan Square, Giant, cozy brainchild of chefs Jason Vincent and Ben Lustbader, packs flavor and fun into all of the dishes while True Food Kitchen is pioneering healthy and vegetable-forward fare in River North under the direction of Sam Fox and Dr. Andrew Weil. HaiSous in Pilsen is a delectable Vietnamese concept by chefs Thai Dang and his wife Danielle Pizzutillo-Dang. Mango Pickle in Andersonville is traditional but unique and a much-loved new venture from chef and co-owner Marisa Paolillo. Along with her husband, Nakul Patel, Chef Paolillo has brought a new wave of creativity and contemporaneity to the Indian cuisine scene in Chicago. Mi Tocaya in Logan Square is the first restaurant venture of acclaimed chef Diana Dávila. Serving up regional Mexican cuisine at great value, this authentic and fun restaurant is not to be missed while visitors to Quiote, also in Logan Square, can appreciate the dedication to Mexican techniques and cuisine from former Salsa Truck owner and self-taught chef, Dan Salls. Pleasant House Pub offers the best of bakery and beer under a new roof in Pilsen. Led by chefs Art and Chelsea Jackson, the recently relocated project is serving up beloved Royal pies alongside Pleasant House Farm’s produce and a line of Pleasant House Pub beers brewed by Whiner Beer. The 2018 Bib Gourmand restaurants are scattered across Chicago’s diverse neighborhoods and are recognized for offering great, quality food for good value at locations the famously anonymous inspectors favor most. These restaurants typically serve two courses and a glass of wine or dessert for $40 or less (excluding tax and gratuities). Michelin’s famously anonymous inspectors dine their way across four cities in the United States ― New York, Chicago, San Francisco and Washington, D.C. ― but apply the same rigorous standards and methodology to each of their evaluations, and they always pay their bills in full. The 2018 Michelin stars selection for Chicago will be announced on Friday, Oct. 20, and the MICHELIN Guide will go on sale on Oct. 26 for a suggested retail price of $18.99.